At Calvary Chapel Cleveland, we teach verse by verse through the Bible, although on some rare occasions we will have a topical study. On Sunday mornings we teach through the New Testament and on Wednesday evenings we teach through the Old Testament. 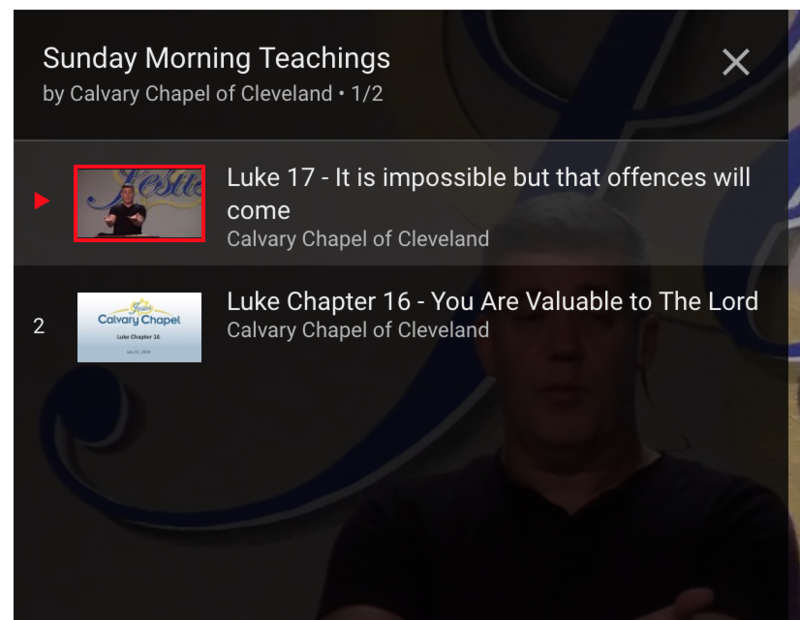 Below are videos of our Bible teachings. Be sure to subscribe to our YouTube channel to be notified when new teachings become available.